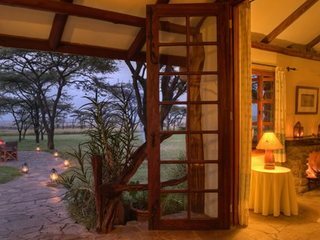 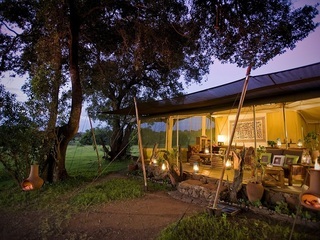 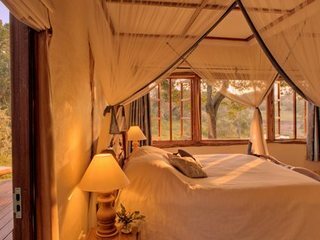 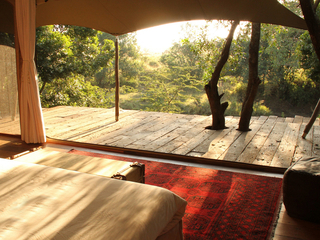 Mara Houses is a collection of three bush houses within private reserves adjoining the Masai Mara. 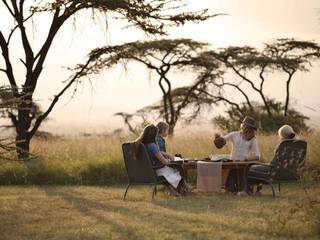 The sense of privacy, wilderness, variety of activities and the tailored daily itineraries mean these houses are perfect for families. 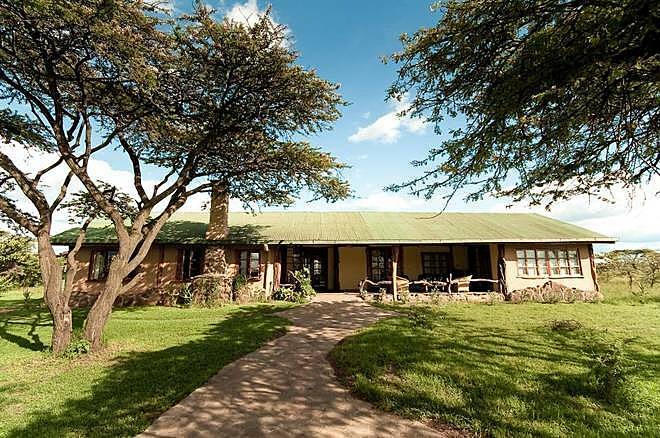 We stayed in Acacia House which has three large bedrooms, one large double with beautiful ensuite bathroom, one twin and a loft room upstairs for the children. 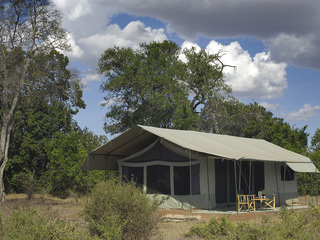 It will sleep up to 4 adults and 3 children very comfortably. 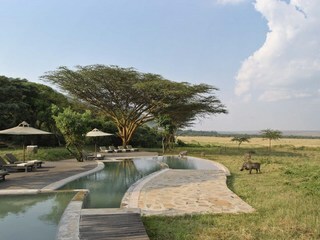 Acacia House shares a pool with its twin property Mara House. 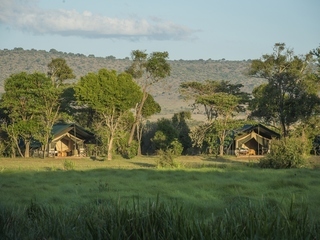 Although the two properties are less than 100m away from each other, you could easily stay in one and be unaware of the other – you get a real feeling of privacy and being very much out in the wild. 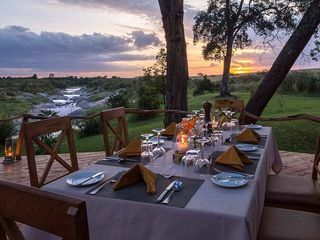 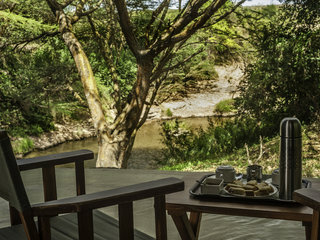 Mara House and Acacia House overlook a thriving water hole, in the space of a couple of hours spent on the veranda, we saw giraffe, impala, warthog and dik dik. 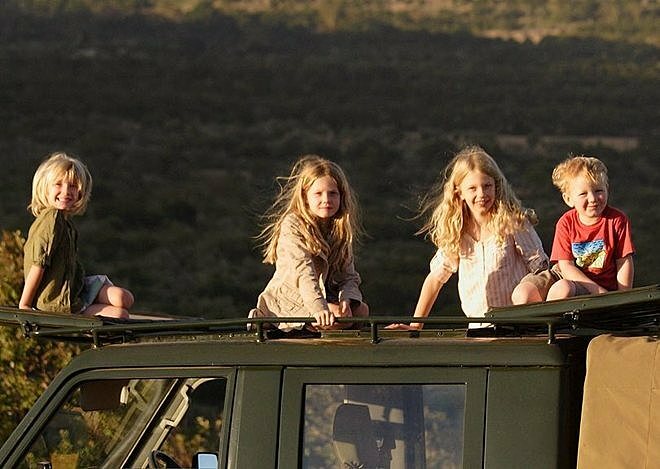 Each house gets its own dedicated guide, so the pace and activities each day are tailored to suit – perfect for families. 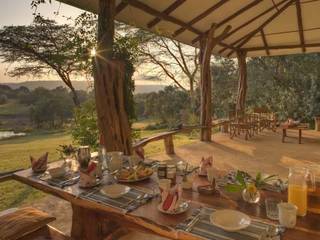 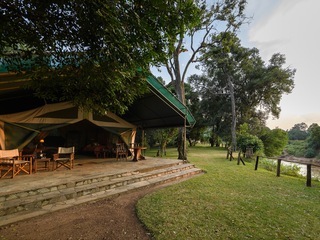 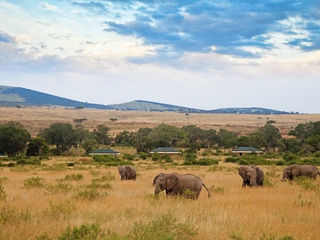 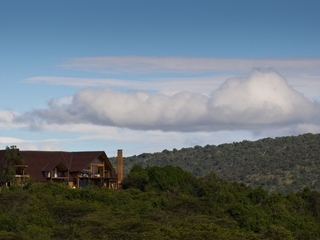 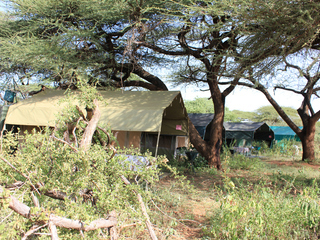 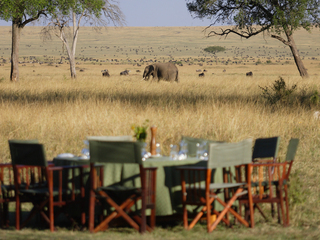 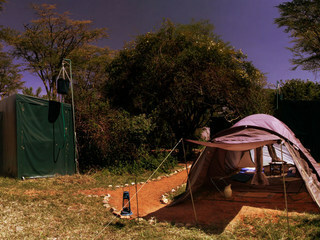 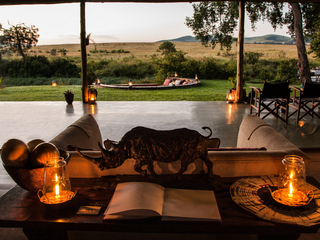 Situated on the private Mara North Conservancy, the houses are a fair distance from the main reserve. 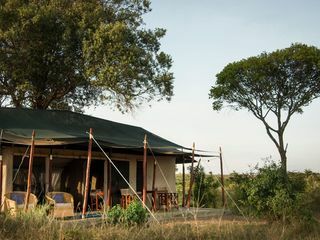 But don’t let that put you off, you are only a short drive from the vast Mara North plains which are teeming with wildlife during the migration season. 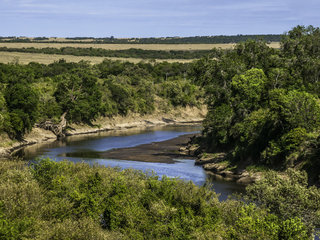 It is not unusual to see greater densities of wildlife here than in the reserve and the only real reason to make it over to the main reserve would be to try and catch sight of a river crossing during the migration season. 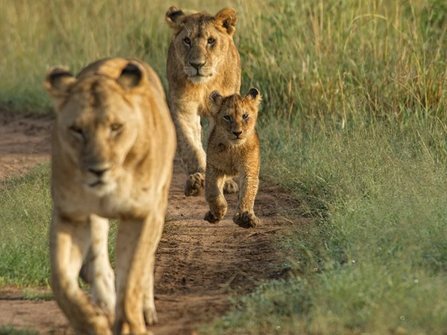 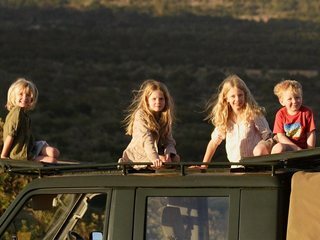 The guides are well used to looking after families, a typical day will involve an early start for a morning game drive with a bush breakfast, returning to base for lunch. 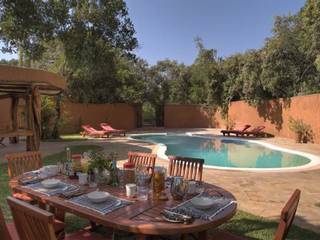 After lunch, the houses are perfect for a couple of hours of downtime to use the pool or laze on the verandah overlooking the waterhole. 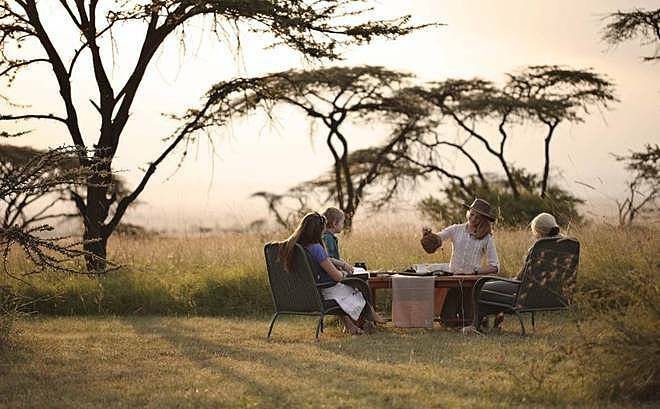 Later in the afternoon, the kids (and adults) can learn how to shoot bow and arrows maasai style before afternoon tea and a late afternoon game drive to a scenic spot for a sundowner. 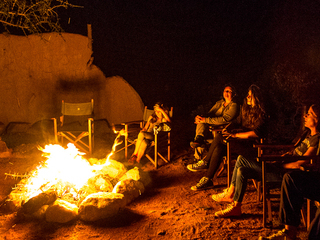 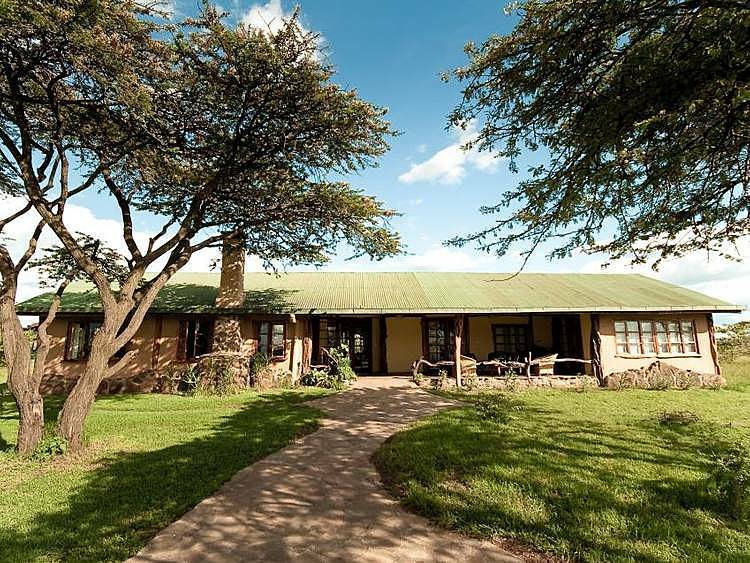 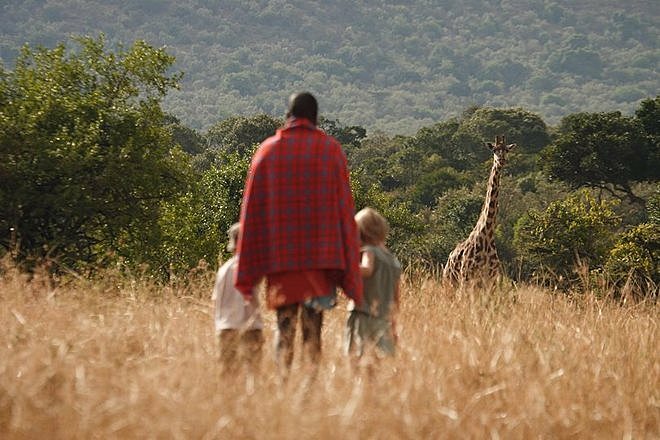 If you are staying more than a couple of days, it is likely you will visit the local school, which is cited by many visitors as a highlight of their stay and guests can enjoy escorted waking safaris with an armed ranger from the Conservancy. 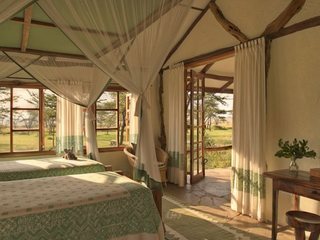 Mara Houses are a fantastic experience and come highly recommended, but please get in touch early as they do book out quickly!